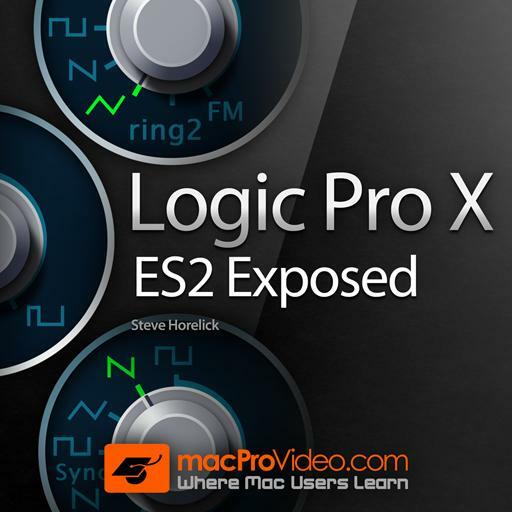 Logic Pro X 206 - ES2 Exposed. Is it possible to use the Analog parameter in Mono and Legato mode? How many digiwaves are available in the ES2? Which filter has an FM control? When using FM in the ES2, the frequency of oscillator 1 is modulated by oscillator 2. True or false? What is unique to Oscillator 3? Filter 2 is always a low-pass filter. True or false? Which Trigger modes are available in Envelope 1? The Decay parameter is not available in Envelope 1. True or false? All 3 oscillators offer pulse width modulation. True or false? How would you configure the ES2 to hear a 50/50 blend mix of filter 1 and 2? Which waveform is just a fundamental frequency? What is unique to Oscillator 2? Which LFO can be set at a very high rate? A Band Reject filter is the same as a Notch filter. True or false?